Did Google Just Drop the Shoe on Authorship Spam? If you’ve been following the news, you know that last October Matt Cutts announced at Pubcon to expect a 15% reduction in the number of rich snippets and authorship results. The anticipated move was seen as an attempt by Google to display more authoritative results. 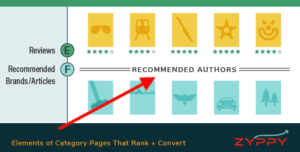 Some SEOs speculated that this is a step in the direction of “author rank” where Google strives to return results from authors it considers as authoritative on certain subject matters. Yesterday, Mozcast spiked to 98 degrees, one of the highest days of flux we’ve seen in Google’s search results in recent memory. Other Google weather stations such as Algoroo reported a similar spike. A few webmasters have speculated this update included a reduction in authorship photos. While the data is still early, the new MozCast SERP Feature Graph does indeed show nearly a 15% decline in results that display authorship photos over the past 30 days. That search once returned 10 authorship photos. Today the same query returns only 7 for me, a 30% reduction. Fewer Results Overall: Google Cleaning House? In the comments below Jeff Creamer pointed out that in the example above, the more recent result returned about 30% fewer results. Indeed, every Google SERP that I have a record, for now, shows fewer total results displayed. Look at this result for a query from a few months ago compared to the same search today. I asked on Twitter if this was something new, and the responses included theories that Google was retrieving fewer results to save resources or that Google has cleaned up the SERPs of low-quality results. If it is the latter, then this is truly an interesting update and could be one of the bigger Google updates we’ve seen in quite a long time. Have you noticed a change in authorship photos or the number of results returned? Let us know in the comments below. 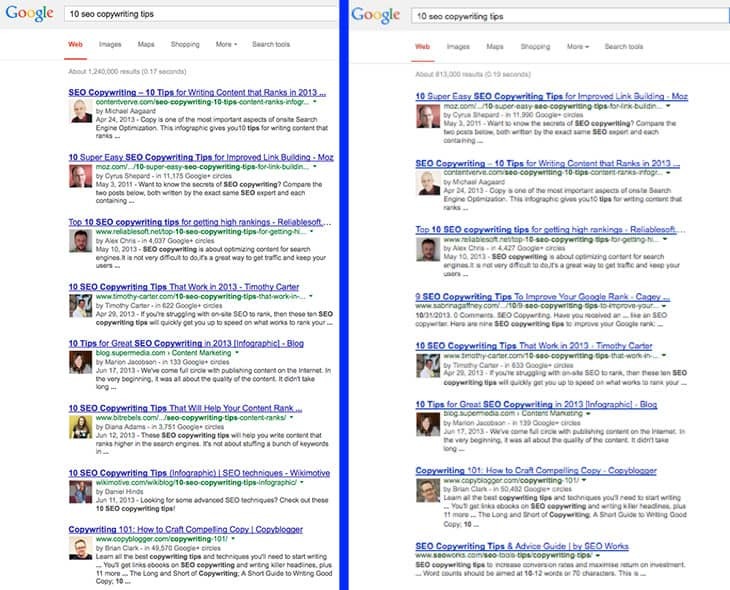 Matt Cutts of Google just confirmed that the reduction in authorship snippets is real. Bing Now Supports HTTPS: How Does This Affect Keyword Data? Well, My picture disappears’m not sure if these new “rules” of Google is to improve the quality of search or attempt to remove SEO. Great Observation. This is actually expected as very few sites and mostly small sites or blogs will use authorship. DO you think big sites like ibm.com or prweb.com or any big brand use this rich snippets for their main domain.. definitely no but yes if you have a blog and want to use author names you can use this… but as you may aware of this already .. this will not effect KEYWORD Rankings. I also lost the authorship for my site 🙁 Any idea how do i get it back? I did notice my photo disappear form the search results. It was a photo of me that had a bright blue background. I stitched to a photo with a white background and the photo came back. The whole time, my name remained with the number of circles. My situation is a little strange. Google removed my pictures from all my pages and posts search results but at the same time, gave me 1st position in some main keywords. I think it was a type of “Panda” refreshing authorship deal. I figured out Google initially was showing my pictures even though I did not have the same nickname on my website with the one in my G+ profile, they were just happy that I had the rel=author markup authorship successfully established. But now, I think they want all right in place and they don’t like that my G+ profile name is not showing up on the beginning in my website. Now I corrected that and I hope with the next “refreshing Panda” I will get back to see my photo on the results. And this did actually decrease a little my traffic. I would say about 15%. Does Google reduced the number of occurences or did they launched something like AuthorRank to determine which authors are relevant for specfic queries? Yup. In one fairly non-tech industry where there was maybe 1 other authorship result in the SERPs, a client’s authorship picture has disappeared from the SERPs. In another more tech oriented industry where all the results had authorship, a client’s has disappeared and only 4 results have authorship pictures. Neither have had their SERP positions change and both are ranked very high including #1 spots for several key terms. However, it’s known the authorship picture increases clicks….so who’s got ideas on what you need to do to get the picture back in the SERP and probably build some future ranking safety due to Google’s future use of authorship to impact search results? I assume its boost author rank by building out their G+ profile and activity. Any other thoughts? Alas, yes, my fledgling site has been hit by this and I have lost my authorship profile picture in the serps for all pages of my website. Any posts I’ve written elsewhere on more established sites seem to be ok so its targeted at websites rather than authors from what I can see. I also noticed that my profile pic was not showing in results. They should be able to help. My site simply pulls from their API. Cheers! Looks like Google is cooking up something for 2014. The first indicate was last PR update. Matt Cuts tweeted that due to some algorithm changes, PR update was rolled out. Many Digital Marketers got surprised with that PR update. I guess Google made strong mind to clean up search results as well as passively promote AdWords and this all changes will help User with better results and Google with more AdWords. Thanks for this article and information, but Just wondering how can we get authorship back even if we have good quality content. Though I am new into SEO world but I make sure I maintain the quality of my articles. I’ve noticed something similar in tracking our search results. I’ve seen the number of images reduce on results showing our blog posts. Where I used to see a page full of our images, I’m now only seeing one or two. Strangely enough though, the author is identified as we see the author’s name and “in x circles”. Some SERP items only have the author name and not the plus count. Pretty inconsistent I think and I’ve noticed these changes happen over the past 12 months or so. My observation via my own website says that Google don’t allow repeated pic of same author on first/any resulted pages.I think this is a Google issue. 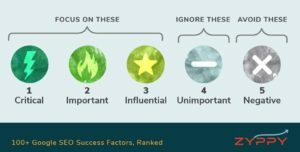 Recently there has been a lot of buzz in the Google+ communities that many people are now not seeing their image in search results. I believe this is a conscious decision by Google to not go overboard with authorship and to only provide authorship in search results if the Google plus profile user is authoritative. That said, you still find authors with not much engagement on their G+ profiles still show up in authorship results. Yeah, few months ago Barry Schwartz has reported about his authorship. Google has removed authorship not for him only but also for other authoritative people. now,it’s perfect. people can check the post here. It’s also interesting that the more recent search returned 30+% less overall results; -perhaps evidence that some sort of ‘authoritative’ filter is in effect? Great post and observation. Authoring is definitely a very subjective topic and one must really build in order to show himself in the SERPs in very targeted key phrases. Interesting if they are trying to create a decline in Authorship results and where does the algorithm starts with the indexed results and the ones with the rich snippets.